ECCO and our strategic industry partners have extensive experience in designing and manufacturing overmolded cables for a variety of commercial, consumer electronics, and industrial/OEM applications that may require prototypes, quick turn, with either low or high volume production. 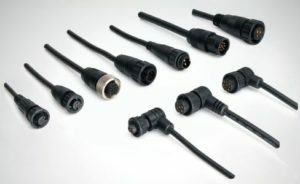 We will work with you to deliver high quality overmolded cable solutions at competitive pricing. We can offer a wide variety of discrete and overmolded cables built to meet your exact specifications.